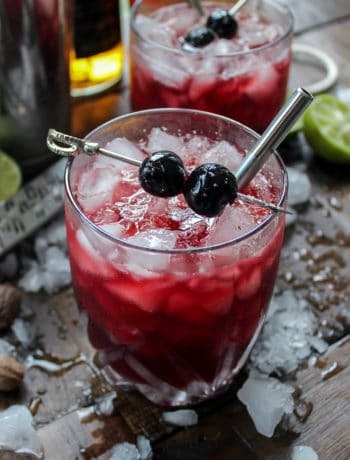 This recipe was created in partnership with Lynx Grills. All opinions are my own. 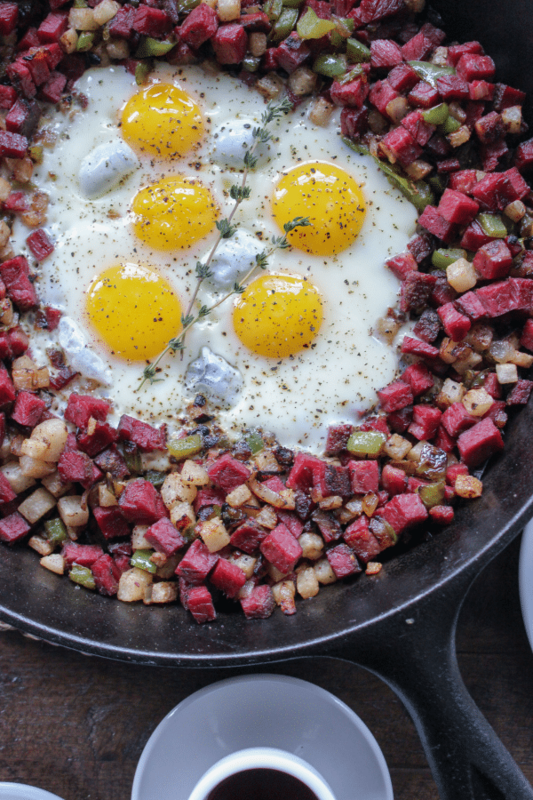 A classic corned beef hash, reinvented as a perfect, flavorful low carb breakfast. St. Patrick’s day isn’t the only time to enjoy corned beef, in fact only enjoying this lovely protein once a year is a tragedy. If you find yourself making this dish more than once a year, definitely use those leftovers to make a killer hash. 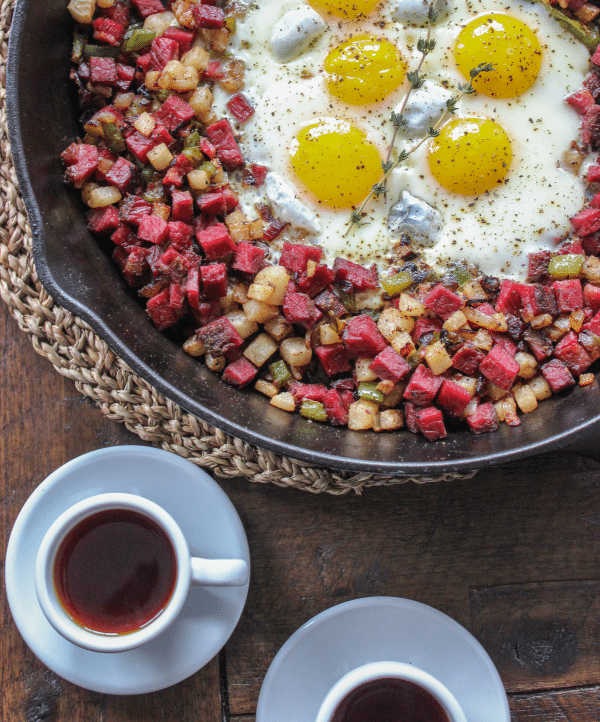 I must admit, a classic, crispy corned beef hash literally speaks to my soul. I love how versatile hashes can be and that they literally work for any meal of the day. 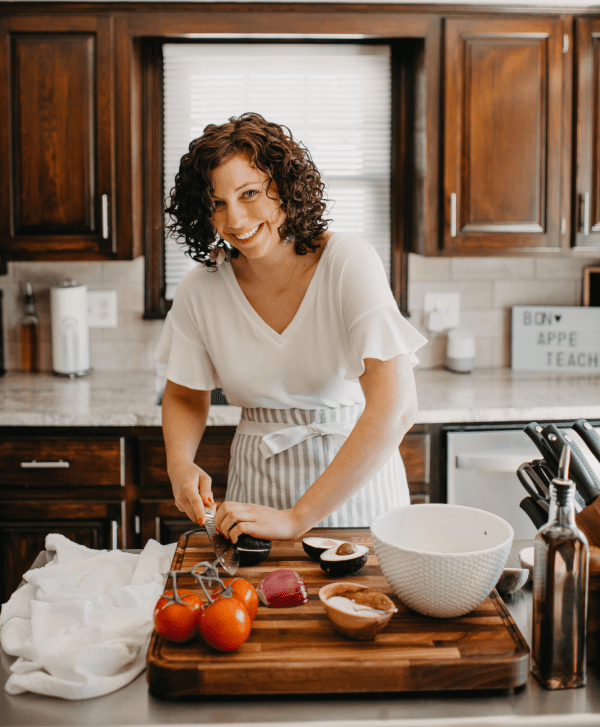 Since I just tried smoking my first corned beef a few weeks back, I knew I was going to attempt a low carb version of this classic dish. What makes this hash low carb you ask? Well, the absence of potatoes is a major contributor and I swapped them for a lower carb substitute, jicama. Though jicama is not starchy like a potato, it does offer a nice crunch, giving the hash some much needed texture in my opinion. 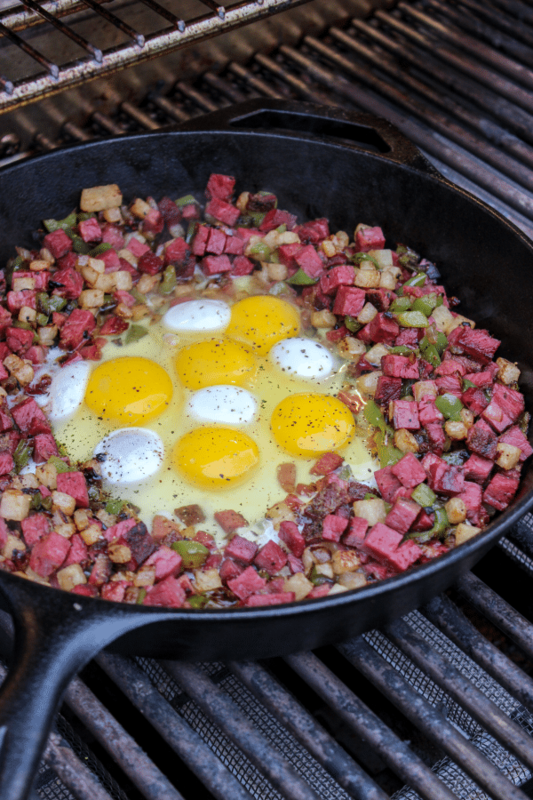 Find the full recipe for this Grilled Low Carb Corned Beef Hash below, and be sure to read more about the use of jicama and other veggies I used in this dish. 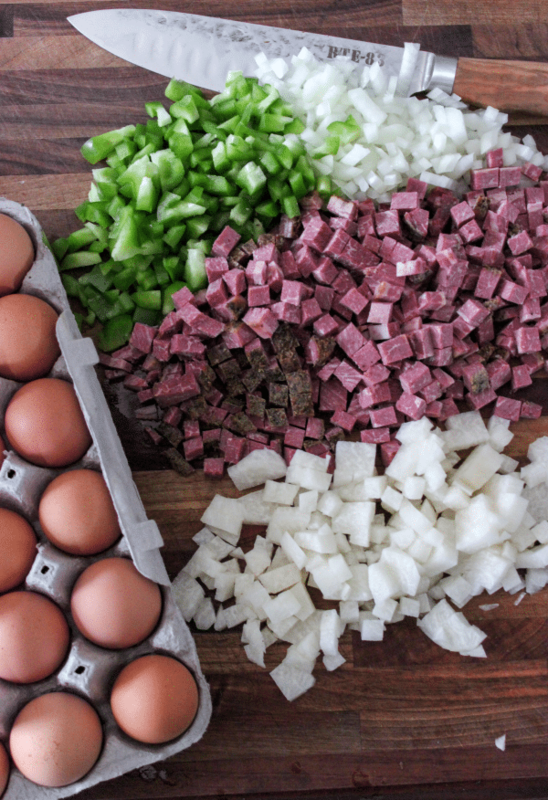 Watch the full video of how I prepared this easy corned beef hash! A homemade hash is honestly a simple way to make an awesome meal. The trick with this lower carb version is working with the jicama and reducing it’s natural liquid. I started by removing the outer skin, cutting the jicama into a small dice and place them onto a paper towel. I like to pat them as dry as possible and season them directly to add more flavor. Add some diced onions, garlic, green pepper, and additional seasonings if desired. Pre-chop your cooked corn beef and set it aside. I opted to do mine over the grill because I enjoy outdoor cooking and cooking over fire with cast iron. You can easily do this inside as well if you do not have access to a grill. Heat your cast iron over medium high heat with oil. I sometimes prefer avocado oil over other oils because it has a higher smoke point and does not add any additional flavor to the dish. Once the oil is hot, add the veggies to your skillet and spread them out across the pan. Allow them to cook, stirring occasionally until tender. Add in the chopped corned beef and mix it with the veggies until it is heat through. Move the hash to the sides of the skillet and add a little more oil to the middle. Drop in a few eggs and allow them to cook until set. Garnish the dish with fresh thyme and season the eggs with salt and pepper. 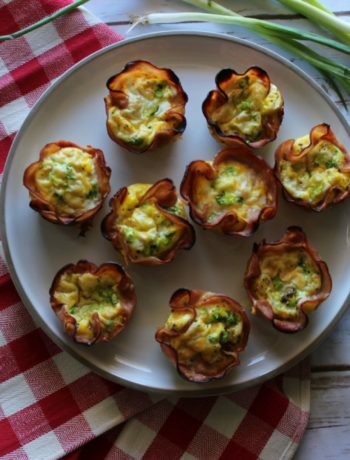 Serve with a Keto Almond Flour Biscuits and enjoy! 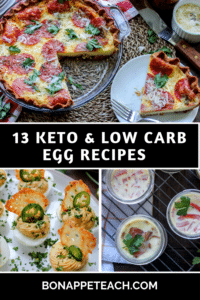 If you love egg recipes (#becauseketo) check out this epic round up of 13 keto friendly egg recipes that work for breakfast, lunch, and dinner too! 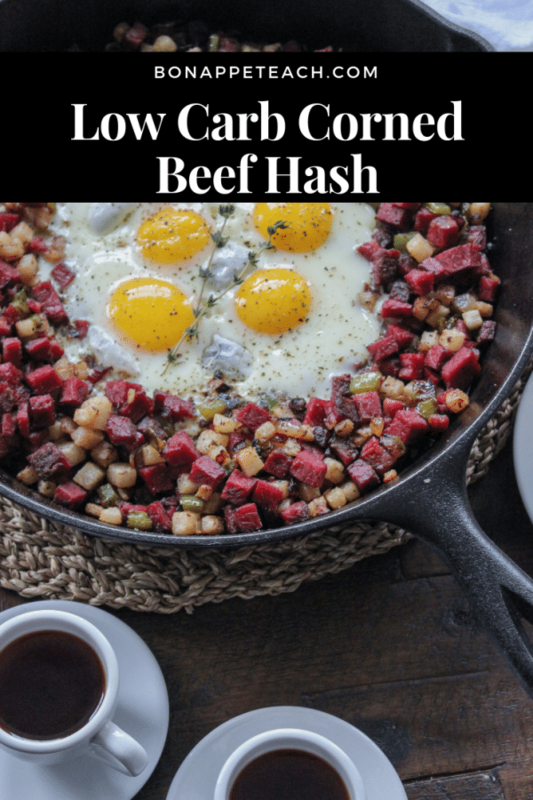 A low carb and keto friendly corned beef hash recipe that is sure to be a brunch or breakfast crowd pleaser. Preheat your skillet to medium heat with the oil. Add the oil and saute the jicama, onions, and peppers until tender and slightly browned (about 5-6 minutes). Add in the diced/ shredded corned beef and continue to cook/saute the mixture is heated through and lightly browned. Move the mixture to the sides of the pan and crack 6 eggs into the center and continue cooking until the whites are set. 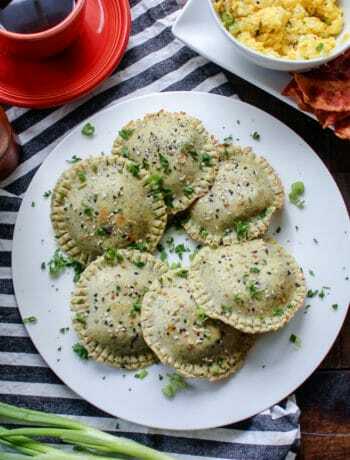 Remove from the heat and top with a little salt and pepper and serve.